Tonight I attended an astronomist teacher's class about meteor.The teacher is the chairman of astronomer club. 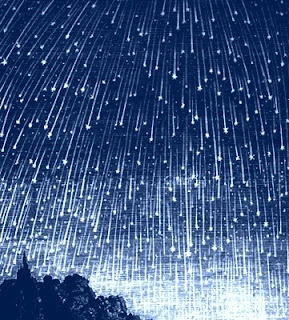 He told us a great chance to watch Perseids meteor.An opportunity that you can never miss it. Lets choose a suitable place like Dasyueshan Mountain or by the seaside to watch the meteors shower.You don’t have to prepare any special equipment.Just bring your heart and feel it. Perseids meteor shower,Quadrantids meteor shower, the Gemini meteor shower are known as the three annual meteor shower. Perseids meteor shower is in a large amount and easily observable. It normally comes out at the end of July every year and reach its peak on 8/12,8/13. 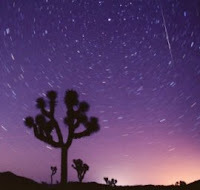 During the peak, the rate of meteors reaches 30-60in an hour,forming a very spectacular sight.